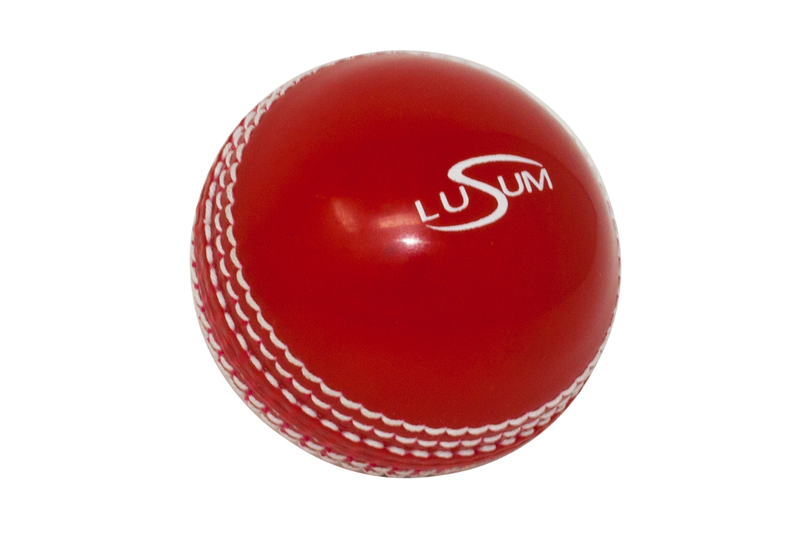 The Lusum Safety Cricket Ball Red is a long lasting training ball available in youth and adult sizes. It has raised seams and stitched seams to give the player the real feel of a cricket ball. The Lusum Incrediball Safety ball is designed for use in nets and training drills in club and school cricket. The softer outer ensures play can continue for longer and the inner core is softer than a leather cricket ball. Realistic bounce and great value which is why it is used by a growing number of coaches across the UK. The ball has a double stitch per side and has a minimum of 56 stitches. The adult Lusum Safety Incrediball weighs around 96g (3.4oz) and the youth weighs around 94g (3.3oz).